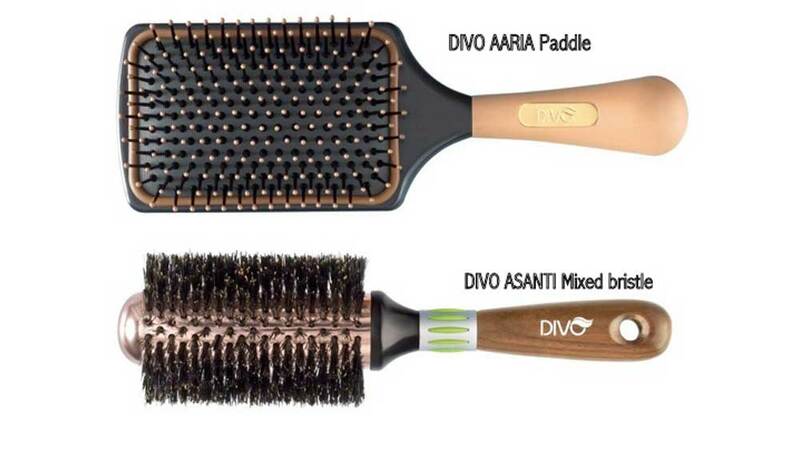 Leading hair brushes and hair accessories brand DIVO has introduced Aurum range of styling brushes. Launching a masterstroke of style, elegantly prepared to grace a wedding trousseau or a salon’s accessories collection, Divo has introduced Aurum range of hair brushes. Beautifully crafted, the Aurum range of brushes come in a variety of sophisticated designs and styles and has been created to cater to salon professionals and discerning women with diverse taste. Available in varied collection like the Aurum Pearl Brush, perfect for the free-spirited dreamer. A hand- crafted collection with gleaming mother-of-pearl shells, this range comes in two sizes; for the dressing table and in other essential portable accessory box. The corrosion resistant metallic pin style hair brush helps in styling any hair type with caring touch. Another choice in the range is the Aurum Gold Collection which comes in a combination of brush and a petite comb. The brush’s corrosion resistant golden pins are specially crafted to gently massage the scalp, detangling tresses and styling all hair types while the comb is sized to fit in handbags to be on hand anytime anywhere. Yet another Refined Aurum Silver Collection is coated in shimmering silver, designed to gently massage the scalp and soothe senses. It comes in a large and small size, one to take carry in bag while other to keep in the salon or at home for styling. Available in over 500 retail outlets across India, DIVO brand also offers a special range of hair applicator and brushes apt for men who use hair products on a regular basis. Medanta Medicity to set up hospital in Qatar..